Let your kid’s creativity run wild without fear of messy cleanup, thanks to the Long Sleeved Art Smock. 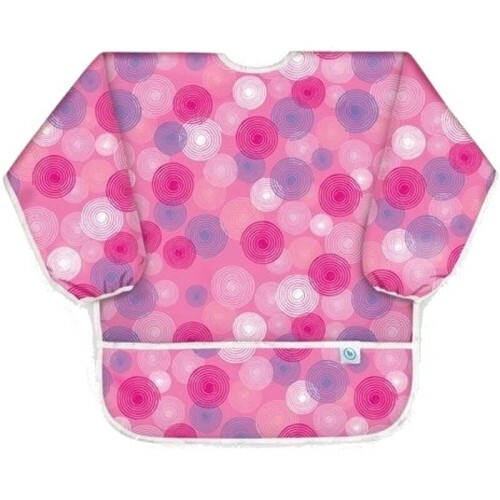 Made from Bumkins’ lightweight, easy wipe, machine washable waterproof fabric. Sized to fit kids ages 3-5 years of age, the smock has elasticized cuffs and a tie closure to allow for an adjustable fit. A large pocket catches spills or keeps art supplies on-hand. The Sleeved Art Smock can also be used for messy eaters than may have outgrown our Sleeved Bib.